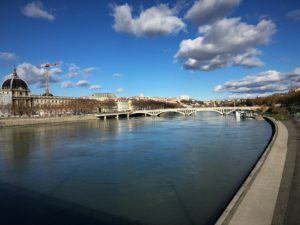 The idea of escaping for one weekend to Lyon and Geneva was spontaneous, we decided to give it a try after a friend mentioned she will pay a visit for a few days to an old Erasmus friend, Ion, that recently moved to Lyon. Since we only took carry-on luggage, we decided to skip on the camera, so all photos here are from our phones. After our flight was delayed a couple of hours, we finally arrived in Lyon where we spent a while reminiscing about our Erasmus time in Orleans and catching up. First thing in the morning, we went out to buy fresh baguettes (missing this so much in London), cheese, sausages and garlic cheese cream. After a hearty french breakfast we headed out towards the city center crossing the two rivers. 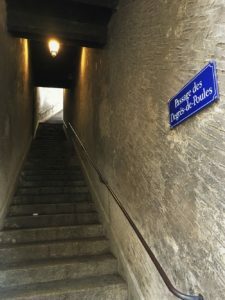 We wanted to take the funicular up to Basilica of Notre-Dame de Fourvière but we ended up in the other funicular which is for Old Lyon, since their station is in the same place. 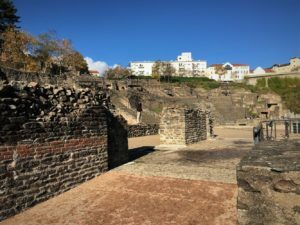 Fortunately for us, this mistake took us directly to L’Odeon, the ruins of a roman theatre which used to accommodate around 3000 spectators back in it’s time. 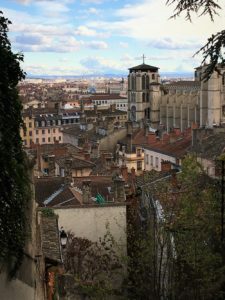 After a short sunbath on the stairs, we visited Notre-Dame de Fourvière, admired the panorama view of the city and descended by foot on one of the oldest streets, Chazeaux which has 228 steps. The descent leaves you right on the paved narrow streets of the center with plenty of cafes, restaurants and bars. 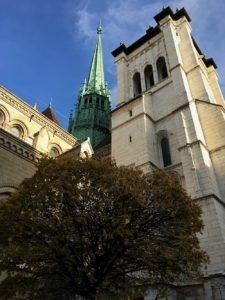 Later in the afternoon, we picked up Ioana from the airport and then went out for a beer and decided that the next day we shall go to Geneva, being only a 2 hour drive. Sunday morning we woke up early, stuffed ourselves full of french cheese and sausages and headed to Geneva. 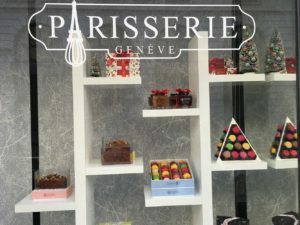 After paying the yearly vignette (yes, there are no different periods for which you can get one – even if you are there for a couple of hours, you have to buy the yearly one) we were in Switzerland and twenty minutes later in Geneva. Found a parking space close to the lake, left the car and continued on foot. Although it was November, the weather wasn’t that awful. Cold, but the sun was shining and there was almost no wind. It came as no surprise when we saw people swimming in the chilling waters of the lake. The most iconic attraction in Geneva, if you disregard the expensive watches and chocolate is the water jet, Jet d’Eau. After finally locating it we found out that it is “out of office” for the month, while some maintenance and repairs are being done. So, we wondered back to the city center and stopped for lunch at one of the cafes. 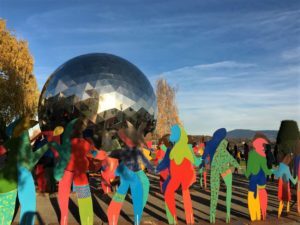 While there we were contacted by another Erasmus colleague – he happened to arrive that very same morning in Geneva and saw our Facebook post about it – totally random encounter, albeit a short one. After a couple of hours we said our goodbyes since we had a plane to catch back to London. 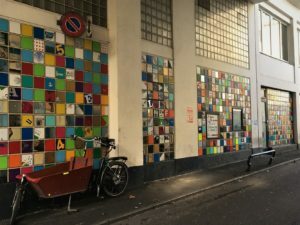 Short, but interesting, this was our weekend in Lyon. If you like it, pin it! Next Post Kayaking in Wales – Wye not?! Thank you, Midori. Both cities are lovely, unfortunately we haven’t been to Annecy because our time was limited but I heard it’s a beautiful city to visit. Thank you, Maria. Both of the cities are worth visiting, they offer you a calming and relaxed environment. Those narrow streets are looking great! These types of trips when friends are getting reunited are the best! Nice pictures! Thank you, Simona. These trips are the best – although the time is limited, you are left with great memories. So beautiful – two cities I am yet to visit but definitely want to sooner rather than later! They look ripe for exploring! Thanks for sharing and love your photos! Thank you, Alex. You should definitely go and visit both of them – it’s quite easy to get there from London. Thank you, Angie. I know what you mean about rice and noodles, we had that in Thailand/Cambodia as well for more than two weeks. Crazy how we can now take quality pictures with a phone – even in Thailand we took just one camera with us and I used my phone for pictures: easy to post on social media and keep my family updated. Some times the short breaks are he best. What beautiful places and it looks relaxing not too touristy, I hope to visit one day! A lot of amazing architecture there to explore. And I’m sure the food is fabulous too. Short breaks are the best, it’s crazy how many things can be done in such short time. You’re right, the food is also good there, especially French food. Thank you, Paul and Carole. Both of the cities are worth visiting. Great photos! You managed to transport me to both cities. Thank you, Shona. I am glad you took a virtual trip through our photos. Nice – I have visited France many times and also have visited Switzerland. Yet I still haven’t visited either of these two places. I like the photo with the ducks on the lake. Will have to schedule my travel plans so I can include Lyon and Geneva at some point. Barry, you should definitely include these two places if you have a chance. I didn´t realize for some reazon Geneva and Lyon were that close! 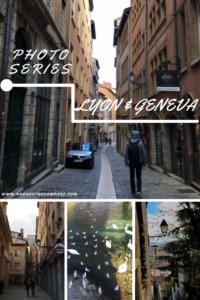 I´ve been to Geneva years ago, visiting Lyon would be a great addition to that trip! Anna, they are really close. Maybe next time when you are in Geneva you can visit Lyon as well. 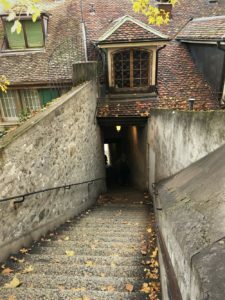 I’ve only been to France once (Paris) and never been to Switzerland but after reading your post and seeing your pictures, I’d love to see more of these countries. 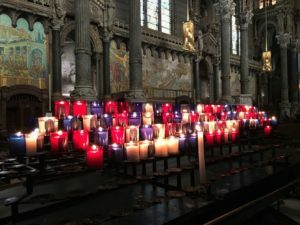 There’s still so much to see in Europe, I can’t wait to come back! Sina, Europe has loads of beautiful places that I still have to visit. 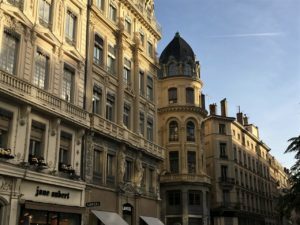 Lyon is different than Paris, it’s not that touristy which makes it perfect for a weekend getaway. Thank you, Sam. You should visit on day, they are both worth visiting. Both great cities to explore and I like that you did them in one weekend. 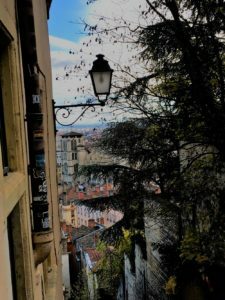 When I visited Lyon I was surprised how much I liked it as I hadn’t really heard much about it. I remember that panoramic view point and the church nearby being wonderful spots. 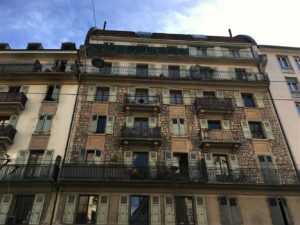 I found Geneva a bit of an odd city compared to the rest of Switzerland but it has its charms. Great post! 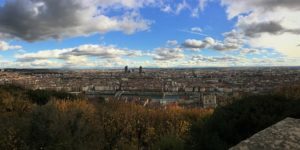 David, I also found Lyon to be an amazing city although I didn’t knew much about at that time. The panoramic view in breathtaking, I could stare for hours to the city. I haven’t visited another city in Switzerland to compare but Geneva definitely has its charm. 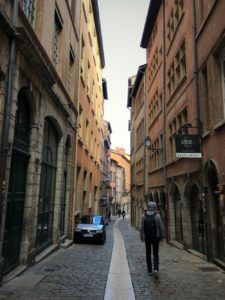 I haven’t been to Geneva but I visited Lyon last year. 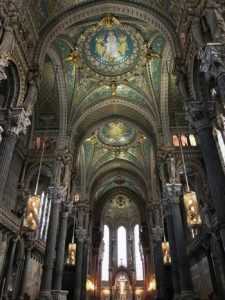 Basilica of Notre-Dame de Fourvière was gorgeous but the walk up left me out of breath haha. 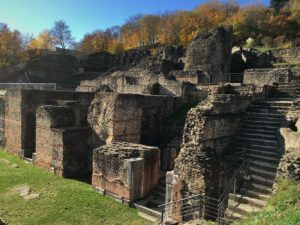 Next time you visit Lyon make sure to visit Parc de la Tête d’Or. 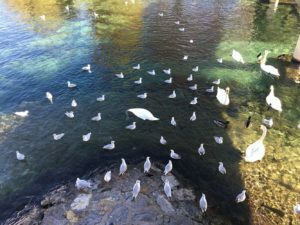 It is such a large and beautiful park with a zoo and large lake. I love the parks in France! 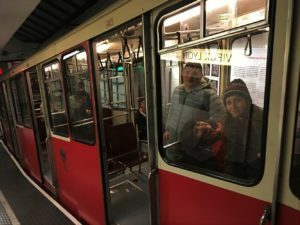 That’s why we chose to take the funicular up and descend by foot. Unfortunately we didn’t had much time here but next time we will check Parc de la Tete. Thank you for the recommendation. So beautiful! Especially the church ceiling! Love your photography. Thank you Siddharth and Shruti. There’s nothing wrong with taking photos with your phone! They all came out great! I use mine all the time, I don’t even own a camera haha! I used to work in a bakery/cafe/restaurant in Estonia that was named Lyon and got its inspiration from France. We sold all the real baguettes and croissants made with butter in a real french oven. I have never been to France, but I think that to me tasted like a little piece of it. So I understand why you might miss it in London, I found food there quite horrible to be honest and I managed to live there for over a year. Thank you, Kreete. I find it handy to take pictures my phone all the time. I wish I have a French bakery near me here in London. The food seems to be bad here, especially after living in France for one year and a half and eating all the goodies. Wow! You do click very good pictures, I must tell you. Looks like you both spent a very good time there! The pictures are stunning and bring alive the charm and beauty of the place. Thank you, Sandy. We did had a great time during this escape although it was short. 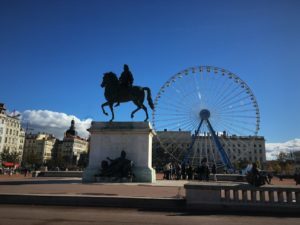 Ugh…we didn’t go to Lyon on our last France trip, and we’re really regretting that right now! But hey…we have something to look forward to! Thanks for sharing your pictures – they’re great! Thank you, Rob and Ann. Unfortunately no one has time to visit everything on their travels but there is always time to go back and visit what you missed. Your photos are so impressive! Both cities look spectacular, keep it up!